This one is for the chutney lovers. 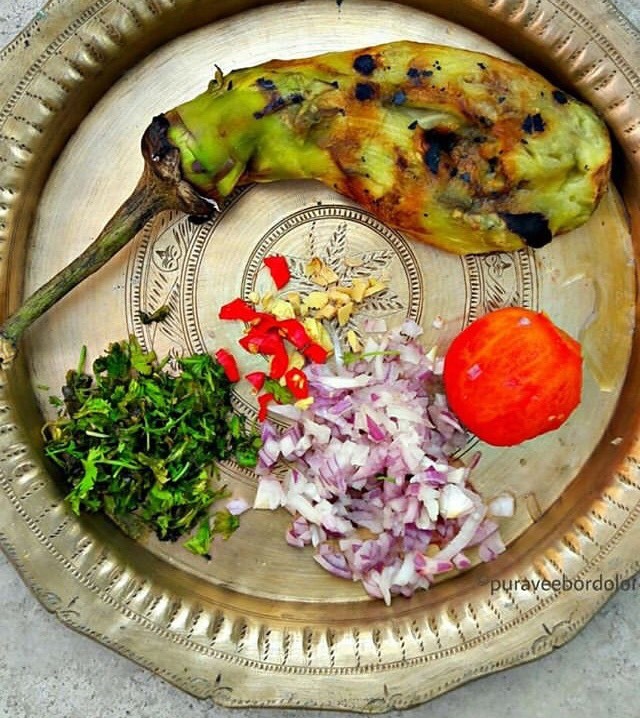 Today we learn how to make an interesting roasted eggplant chutney called “Pitika”, contributed by Puravee Bordoloi from Assam – a passionate home chef, and an advocate by profession. 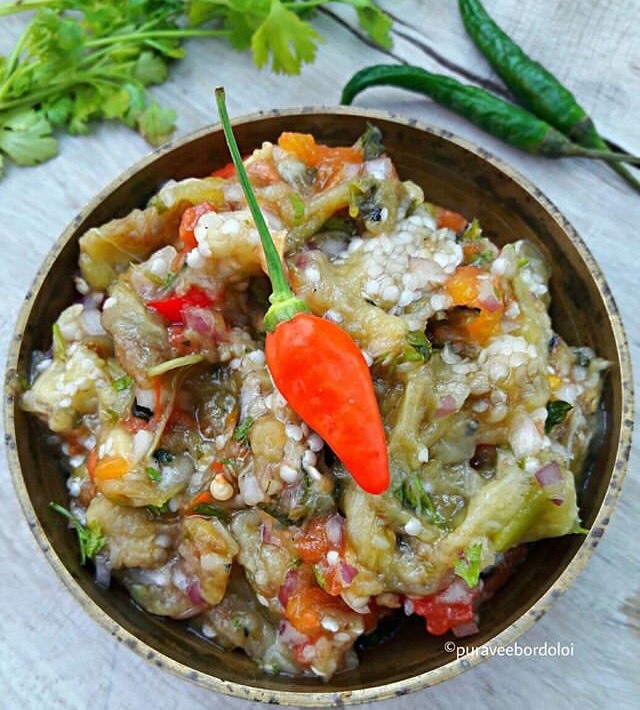 Pitika is an eggplant chutney – a side dish that is almost always present in any authentic Assamese thali/platter. It’s a simple chutney that needs only a handful of ingredients, but has a mouthful of flavors. So let’s find out how to make this interesting chutney from Assam! Ingredients for Assamese chutney “Pitika” (L to R, clockwise): chopped coriander leaves, roasted eggplant, tomato, onion, chillies and ginger. Now roast the eggplant and tomatoes over an open flame. Turn once every minute, and continue until it’s cooked properly. Remove from heat and gently peel the skin from both the eggplant and the tomato, and now mash them together. Add the chopped onion, chilli and coriander leaves. Mix the seasonings well with the rest of the chutney ingredients. Garnish with a raw chilli on top and serve. And the yummy side dish “Pitika” is ready to serve! !